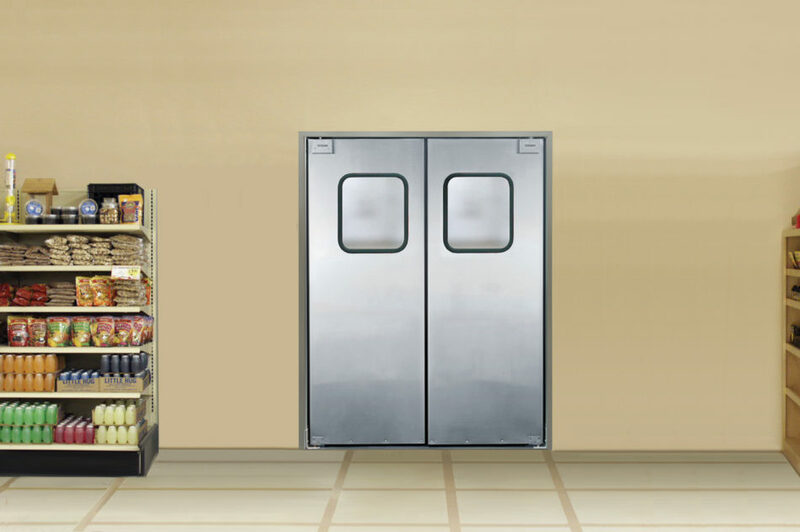 These attractive and durable stainless steel impact traffic doors are designed for use in supermarket and restaurant applications. 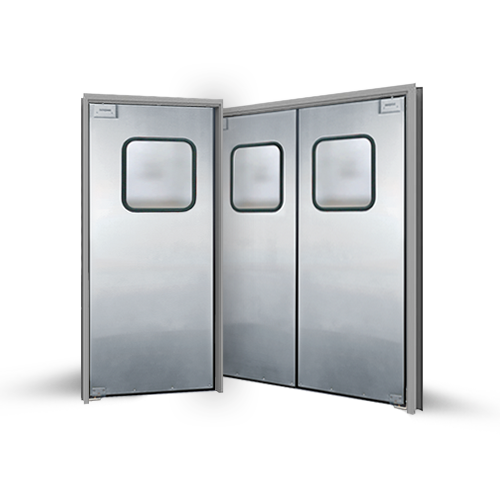 The FCG-3 is constructed with a full-length stainless steel panel on both sides. The windows are 9” x 14” clear acrylic single pane set in black rubber molding. 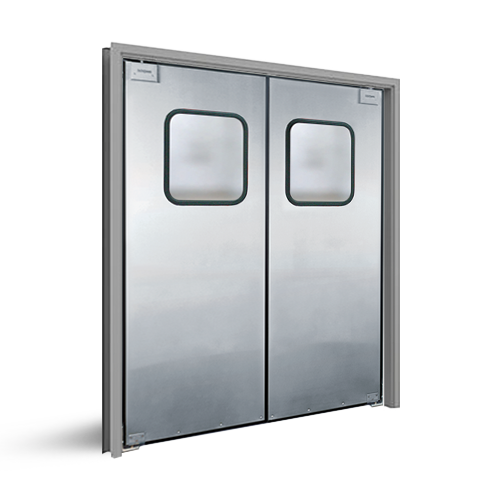 The FCG-3 comes standard with a perimeter seal with adjustable bottom gasket and operates on the Easy Swing Hinge System. 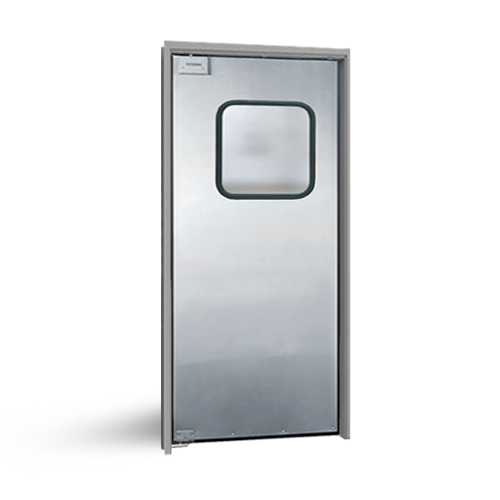 The FCG-3 is available as an NSF-certified model, by specifying FCG-3N when ordering.